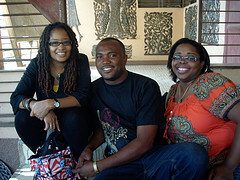 Croix-des-Bouquets is an amazing city bubbling with creativity in Haiti. Creative genius Wyclef Jean, a Haitian musician, record producer, philanthropist, and former member of the Fugees who ran for president of Haiti in 2010, was born there. 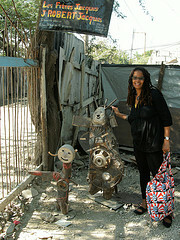 When I visited Croix-des-Bouquets and met the talented Heart of Haiti metal artisans during my blogger ambassador trip in February, I was reminded of Ogoun, the Haitian Vodun warrior spirit who presides over metal work, fire, hunting, politics, war, and the unemployed. Click here to listen to my audio blog. 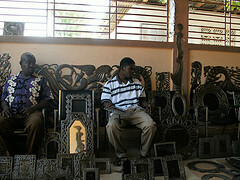 Check out more photos of the metal artisans’ work here. 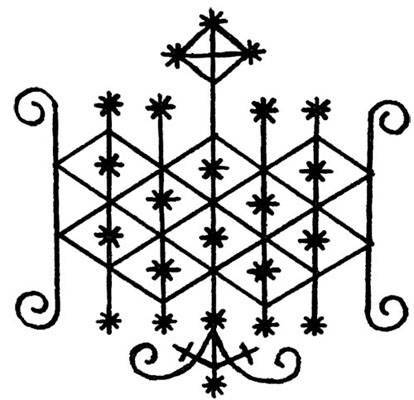 Ogoun gives strength through prophecy and magic., and is known as the Father of technology and one of the husbands of Erzulie, Haitian goddess of love. Ogoun is also associated with healing and seen as a combat medic, thinker, strategist, and diplomat. His colors red and blue. Did you know many believe Ogoun planted the idea for the Haitian Revolution of 1804 in the minds of the enslaved Africans? Some say that he led and empowered the enslaved Africans to create Haiti as an independent nation. Others believe Ogoun is now called to help the Haitian people obtain a government more responsive to their needs. May Ogoun give the Haitian people the wisdom they need to vote for a new president on March 20! After the March 20th elections, the people of Haiti will still need our support. 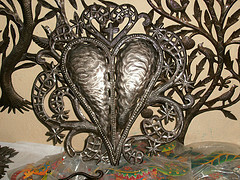 One way you can support them is by purchasing the artwork of Heart of Haiti metal artisans at Macy’s. Their beautiful and decorative artwork will make great Easter and Mother’s Day gifts. They also serve as fantastic graduation, wedding, birthday, and Father’s Day gifts. 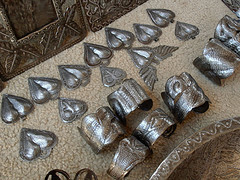 Visit the Heart of Haiti collection on Macys.com. PS: Here are several videos featuring the metal artisans. 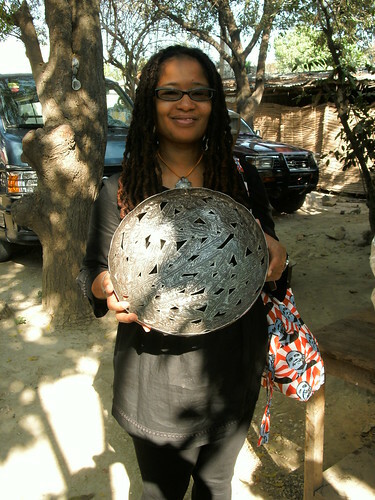 Previous Entry:Ananda is speaking on 3/19 @ WOMANIFESTING IN ACTION in DC and will share lessons learned from Heart of Haiti trip.